SURIGAO CITY - The members of Surigao Runners Club (SRC) trained hard in preparation for the Dabaw Phoenix Marathon 2013 on March 10. Last March 3, they routed 18.6 kilometers, the last long road run in preparation for the forthcoming event, back and forth from Surigao del Norte Provincial Sports Complex to Brgy. Day-asan, Surigao City. SRC Mem. Ace Espejon enjoyed the last long road run because the route was safe, clean and green, and appropriate for endurance and power training. Atty. Ingemar P. Macarine, the SRC Organizing President, appreciated the bonding runs of the members and encouraged everyone to continue the healthy life style and influence the Surigaonons to run and be healthy. Atty. Macarine also reminded the members to finalize the paper works for the Surigao Marathon 2013: Run for the Surigao River and start scouting for prospect co-presenters who are interested to allocate P100,000.00 for the event. Surigao Marathon 2013 will remind or else inform the Surigaonons of the river's vital role for their precious lives. 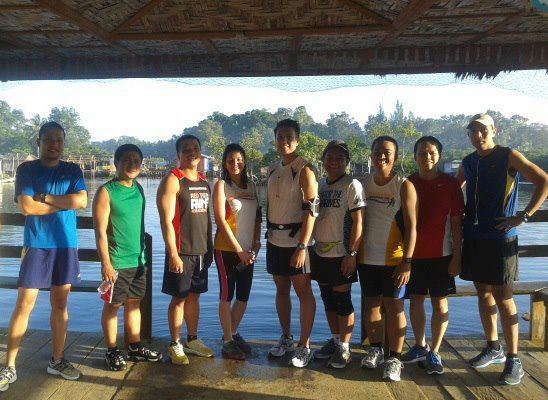 The SRC members will invite runners from the Dabaw Phoenix Marathon 2013 to run on the Surigao Marathon 2013: Run for the Surigao River on April 21.